Homeowners wanting to protect their home from termites can ask some questions prior to a termite inspection to determine if the individual is really a termite expert or just another termite novice. Left undetected, termites are chomping their way through Australian homes leaving behind costly damages. In fact, it is estimated that 1 in every 5 homes is infested with termites which are eating away structures, flooring and even material that isn’t wood, but in the way of the main meal. Since your home is at risk it’s a good idea to do some basic investigation to see if you are dealing with a termite expert. Termite damage is on the rise in Australia because the hazardous chemicals used in the past are now banned. Approved products, while usually effective don’t offer as long lasting an effect as the previous products. These products also require greater skills to apply. On the average, a homeowner will pay around $1,500 for a complete termite inspection and treatment. This is not small expense, but the potential for damage to your home is far more costly. 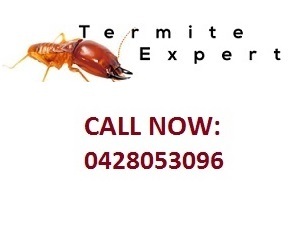 Therefore, you want to be confident that there is a termite expert crawling around your home. Be sure to get answer to these discovery questions. First, find out if they are insured. The termite company should have professional indemnity and public liability insurance. The professional indemnity shows that the business is protecting itself against any claims of negligence arising out of inspections and treatments. The liability insurance protects the company against property damage and injuries that occurred as a result of work performed. Choosing a termite company with insurance increases the likelihood that you will get any claims settled should a problem arise. A well insured company is a good indicator or a termite expert company. Here are a few other questions to ask when evaluating if you are dealing with a termite expert. 1. Do you have examples of termite infestations you have exterminated? Do you have referrals from any clients? A true termite expert will have plenty of “trophy” photographs and client testimonials. 2. What are your qualifications? A termite expert should have an understanding of local building practices and how termites operate, where they hang out and signs of termites. This knowledge may start with a book, but expertise is developed through experience. A termite expert should have completed at least 40 reports under appropriate supervision. 3. A timber expert also should have proven competence in units 8 and 10 of the National Pest Management Competency Standards. These units cover inspection, reporting and controlling termites. 4. Find out if they produce a termite inspection report. If there isn’t a written report for your records then look for a new pest company. Once you have the answers to these questions you should have a good understanding if you are working with a termite expert or not.